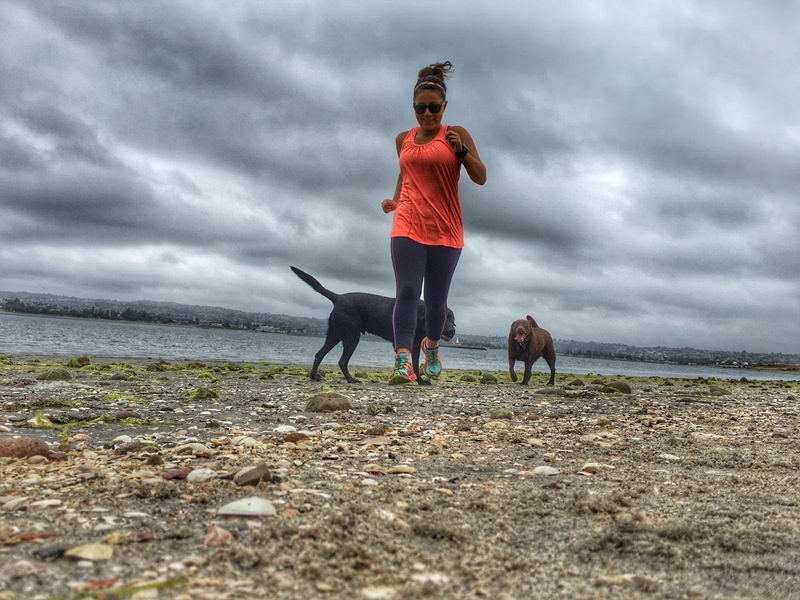 Fit Wanderlust Runner: One Week Before Race Day! In one week from today I will be running the San Diego Rock n Roll half marathon! I am super excited since I have really trained for this race. I have put in the time and even with all my setbacks, I feel pretty confident. I've put in the miles and come next Sunday, I will finally see if all the hard work paid off. When I hurt my knee in April, I was very much discouraged that I had to take 10 days off for my stitches to heal. I felt like I was finally getting to where I needed to be and then that fall happened. One of my good friends told me to think of it as a rest period to evaluate and come back stronger for the remainder of my training. I hate to say it, but she was right. The rest period was exactly what my body needed. Maybe I will never get back to the level I was three years ago but I feel stronger and I am training smarter. I started off my training hoping to get a PR for this course and break 2 hours but as soon as I got into the Chicago Marathon, my goal changed. Since then I have incorporated some tempo runs to still keep on track but now I am using this race to determine my upcoming marathon pace. See, I haven't ran a marathon since maybe 2008?? I can't even remember the exact year since I feel like I have blocked all memories from running marathons. Let's just say I didn't have any good experiences. Anyways, this half marathon will give me a better idea of what time to expect for Chicago. For this upcoming week I just have a few runs to shake out the legs (some fartleks and tempos) but mostly I am starting to carb load. The longest run I plan on doing is six miles. I'll be bored for sure but I am doing this in hopes of truly running the best race possible. I also haven't drank any alcohol in almost a month in preparation. But I am truly looking forward to my first drink post race. Best way to recover is with a fresh drink right?! ?